I hope all of the members who attended State Session this year had a great time. The hotel was great, as usual, and the food was excellent. Attendance ended up better than expected but we would love to see more members coming out to see what State Session is all about. It’s fun, it’s educational and it’s a great opportunity to meet and spend time with fellow members. Our congratulations to new State Master George Russell and his team of officers and committees. Please read his first column in this issue and let him know if you would like to take a leadership role in the new administration. 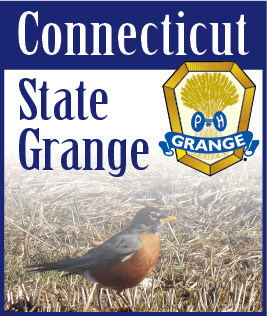 With the “changing of the guard” there’s a great deal of work to be done in preparing the new State Directory, Journal of Proceedings and the Blue Book. Also, the many things we use at the State Grange with the Master’s name and/or signature on them have to be re-printed. New Directors - - please get your Blue Book information to me as soon as possible. Remember, we switched to a two year format in 2016/17 and will continue with that in the new year. This means all information should cover the 2018/19 & 2019/2020 Grange years. Supplemental information and updates can always be printed separately or published in the Granger, if necessary. There are a number of Granges who have not submitted their Directory information listing all officers and committees for 2018/2019. If your Grange has not done so, PLEASE get it to me immediately. We may have no other choice but to print without the latest info. and that would be a shame considering the cost and time required to put together the State Directory. We expect to receive the Bonding information for the new year very soon and will have that out to all Granges as soon as possible. On the front page of this issue we have printed an article about Lillian Sharpe, a Junior from Ekonk Community Grange. Please read the article and send in a donation or a "thinking of you" card if you can. I know it will be greatly appreciated by Lillian and her family. Until next time, have a wonderful Thanksgiving!